Looking for a window cleaner in Maple Grove? Well you found the right website as we offer Window Washing, Gutter Cleaning, and Pressure Washing in Maple Grove, MN. 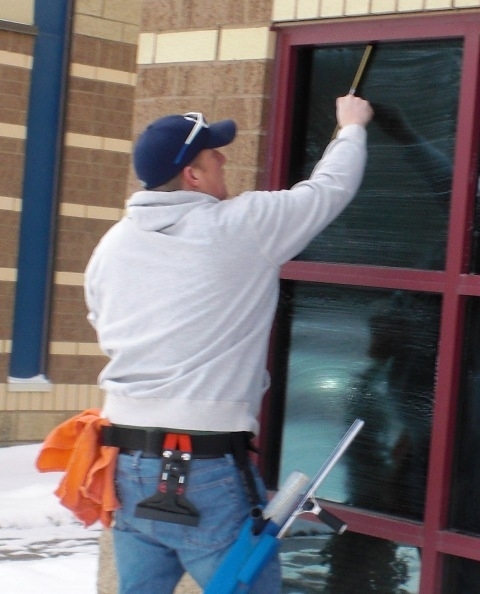 Window Cleaning in Maple Grove is a task every homeowner dreads due to the hard water in Minnesota making it hard to clean your windows. I will come out and give you a free window cleaning estimate so you can start enjoying that view again! We offer everything from outside only window cleaning to full service which includes outside, inside, screens, and sills and tracks. Window Washing – Let us make the windows on your Maple Grove home Shine with a complete inside/outside window cleaning today! Gutter Cleaning – Gutter cleaning is often overlooked in many homes since it is out of sight, but what most homeowners don’t know is that water spilling over in a rain storm could be finding its way into your foundation and leading to a wet basement. Let us come out and give you a free estimate for gutter cleaning while we are at your home washing the windows. Pressure Washing – Time to clean off that deck for summer grilling season? Let our powerful pressure washers blast years of grim from your Maple Grove home’s deck, driveway, sidewalk, patio, home, and screened porch!